A former U.S. Marine Corps captain, vice president of a commercial bank and IT project manager for a Fortune 500 company, Seaway founder Linda Seagraves is an accomplished and proven leader. As such a leader, she has long sought feasible ways to help others function at their highest potential. She found just such a way when she began to study Mindfulness Based Stress Reduction (MBSR) through the University of Massachusetts’ world-famous Center for Mindfulness. 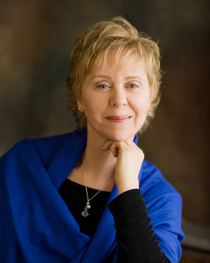 Building on her decades-long meditative and yoga practice as well as her studies with the Center for Mindfulness in Medicine, Health Care, and Society, she has devoted the last 10+ years to studying and expanding on classic MBSR—first, to fit the needs of her Fortune 500 colleagues and, later, to serve even more program participants. Today, her unique program, known as Seaway Mindful Stress Management, is used by groups and individuals nationwide not only to manage stress, but also to improve relationships, productivity, psychological resilience and emotional intelligence. Find out about current course options. And even though she’s also a certified yoga instructor, Linda emphasizes, “I am not a guru.” Rather, she describes herself as “a facilitator and guide to a practical, helpful program”–one that has been medically proven to improve emotional and physical health. You can reach Linda at 425-270-5967.